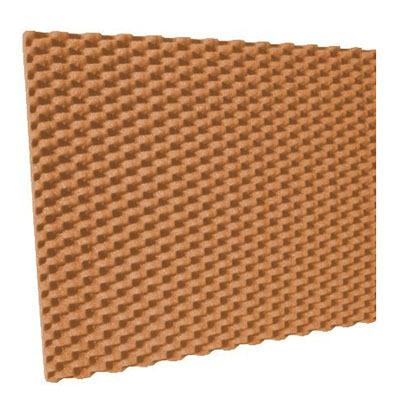 Udderly Quiet™ Anechoic Studio Foam is a high performance, sound absorbing foam panel designed to reduce echo within an environment. 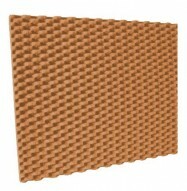 Anechoic Studio Foam enhances the sound quality and aesthetics of any recording or listening environment. Engineered for Performance — The Anechoic pattern was designed to increase surface area, ultimately increasing the acoustic performance. Udderly Quiet™ Anechoic Studio Foams absorb sound generated at low, mid and high frequencies. 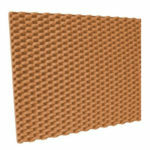 Quality — Udderly Quiet™ Anechoic Studio Foams are made with flexible, professional grade acoustic polyurethane foam. The foam keeps its color better and longer than other, lower quality foams. 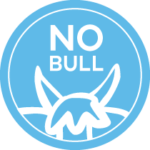 Udderly Quiet™ Anechoic Studio Foams are firmer than other studio foam products on the market which adds protection against rips or tears. Ease of Installation — Udderly Quiet™ Anechoic Studio Foams are light weight and can be attached to a variety of surfaces. No special tools or materials are needed. Personalization — Udderly Quiet™ Anechoic Studio Foams are available in a variety of colors and sizes. Choose the color that best matches your personal décor. Architectural Interest — The 3D, double convoluted pattern of the Udderly Quiet™ Anechoic Studio Foams creates a visually unique environment. Not just for Professional Studios — Udderly Quiet™ Anechoic Studio Foams can be used almost anywhere reverberation (echo) is an issue. Just be sure local fire codes are met. All Polyurethane Foams, including Combustion Modified Foams, will burn. Do not expose to any flame source. Once ignited, they can produce rapid flame spread, intense heat, dense smoke and toxic gases causing death. Warnings should be given to your employees and or customers. Test data does not necessarily reflect a foams performance under actual fire conditions. Before purchasing any foam, be sure to check with your local code officials to confirm the required flammability rating of exposed materials for your area.